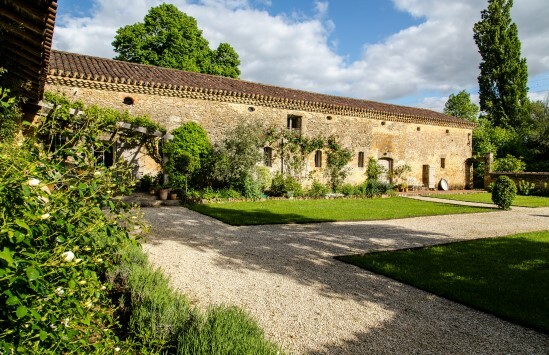 The Hubby and I are big fans of renting a house for a week in a pretty village, where we can come and go as we please, eat in local restaurants or cook up fresh produce from the market and - if the weather turns to rain - we’re not confined to a single hotel room. It’s the sort of holiday that comes with no airs and graces - we don’t need throbbing nightlife for this week (or ever really) and are much happier spending time together and completely unplugging from our normal lives. However, finding a rental property that’s stylish, well equipped, beautifully located and well-priced isn’t easy, even for a travel planner! 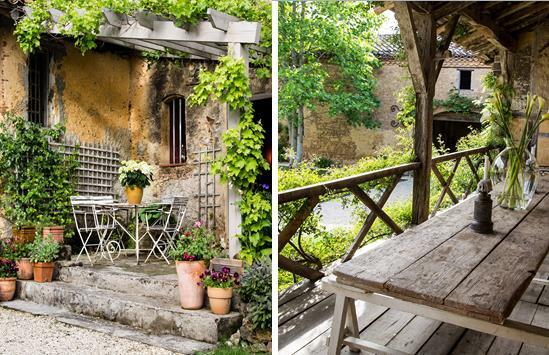 So, how happy was I when I stumbled across a house in France which turned out to be my perfect holiday home. It’s the sort of place that was nice for the two of us but really does lend itself to a large family or a group of friends. However a word of warning: if you’re idea of an ideal holiday rental is sleek lines, high tech systems, designer fittings and situated in an area full fashionistas, then look away now. If on the other hand it’s stylish but simple interiors and an authentic French charm with a relaxed vibe, then I beg you to continue whilst I spill the beans on my little secret (well sort of). 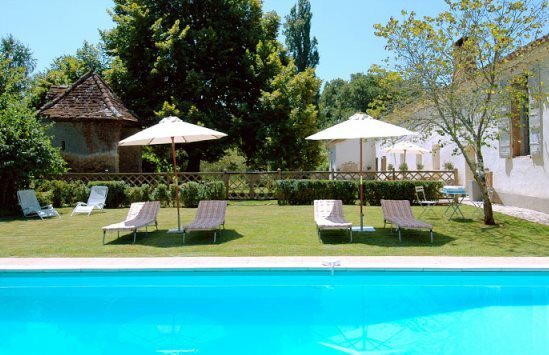 Located in the wonderful and unspoilt Gascony region of South West France, you’ll find a tree lined drive that leads to a beautifully romantic 17th Century manor house - it’s what you’d expect of the region: stone in parts, half-timbered in others, with roses entwined around balustrades and covered terraces for lounging and outside dining. Of course there’s a swimming pool and acres of pretty grounds that give way to a forest where children can have an adventure. Inside, the house is huge and split into two wings which is why it works well for a large family or group of friends. It’s been lovingly renovated by the owners with a big nod to the traditional French theme which is a sort of perfect imperfection. 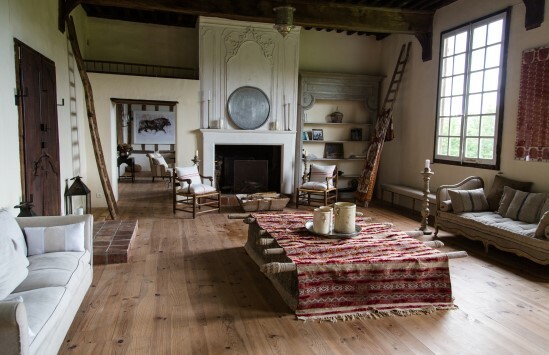 The owners spent ages sourcing antiques and traditional French fabrics giving the place a stylish but homely feel. There are 3 lounges to spread out in and 5 wonderful bedrooms that come with comfy beds, White Company linen and - total bliss - proper feather pillows, not those foam brick like ones you usually get on the continent. I’ll admit that the bathrooms aren’t high tech but are functional, clean and in keeping with the property and the toweling robes are a nice treat. 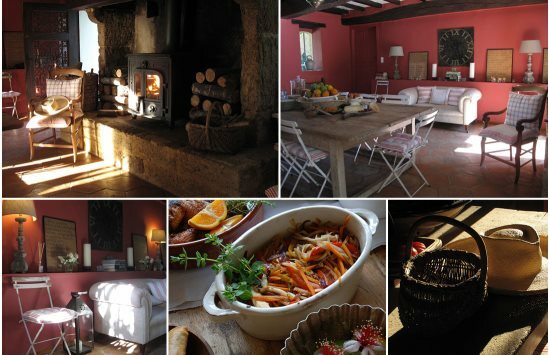 The great thing is that you can chose to self-cater, have all meals cooked for you (a local cook is on hand) or a mixture of the two. Either way breakfast is included and is delivered each morning by the housekeeper, who also makes the beds and tidy’s the house so you don’t have to. Going it alone couldn’t be easy as you have a kitchen fully equipped with every conceivable cooking utensil - the owners regularly use the house and so it feels like a proper home with all the creature comforts you’d want. Every attention to detail is taken care of - the welcome hamper comes in the form of a huge wooden table groaning under the weight of fresh local produce (including delicious fig jam made from the figs that grow in the garden) and the fridge comes fully stocked with soft drinks, local wines, beers and essentials like butter, milk and cheese. The cupboards have all the basic ingredients you need to be able to convert the food you buy from the local market into a veritable feast. The only request is that you replace anything you finish off, whether that’s the olive oil, the coffee or the digestifs in the bar. This is rural France and although there is a terribly pretty village a 10 minute stroll away (with the obligatory baker and butcher) the village is small and comes with only one restaurant (albeit a very good one) and so for other provisions or different dining you do need to travel further afield. 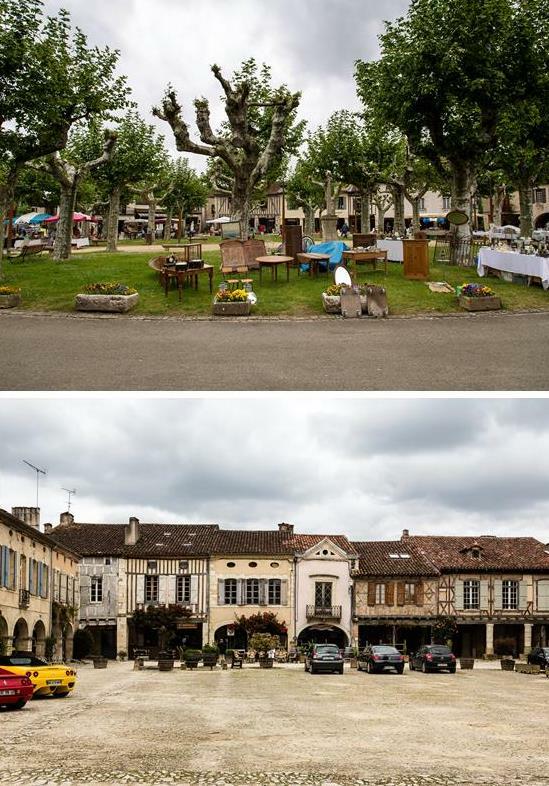 But, venturing out will reward you with some wonderful medieval villages to explore - our favourite was stuffed with antique shops and a monthly brocante market. Equally, the beaches of the Atlantic are an easy day trip away. If you’re looking for a spacious and stylish house to rent in rural France where you can plug into local village life, then this really is the property for you. What’s more, for what you get it’s really good value - one of the many benefits from eschewing the fashionable regions of the Dordogne, Provence and the Languedoc. For more information on this property please get in touch.